Hours: Mon.-Fri. 7am-4:30pm, Closed Sat. & Sun. We would like to thank you, our valued customer, with an Exclusive Offer. Offer is valid from August 3 - 28, 2015 on any new, in-stock retail purchase. Not valid on previous purchases. 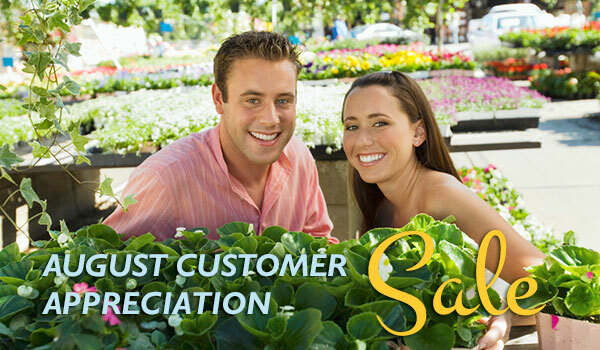 Not valid with any other offers or on landscape installation orders. Copyright © 2015 Hinsdale Nurseries, All rights reserved.